Engineers were finding out more about Actility as the latest player in the Internet of Things - the $75m war chest gives the French cloud and systems provider significant opportunities for growth. Machine learning continues to interest, and the move of bots into industrial applications has also caught people's interest. Power was also a significant area after the PCIM show in Nuremberg this month, and the perils of automated analytics was clearly demonstrated - while Google sees 1000 posts for the Embedded blog, the truth is closer to 1200, and we went back to look at the very first one. The technology arm of a major online supermarket has released open source software to simplify data centre architectures for smart factories. The Kubermesh package uses container-based technology and the Kubernetes system to implement an on-premise private cloud architecture where desktop computers can be easily configured to become nodes that support the compute or storage functionality typically delivered by a high-performance server in a data centre. 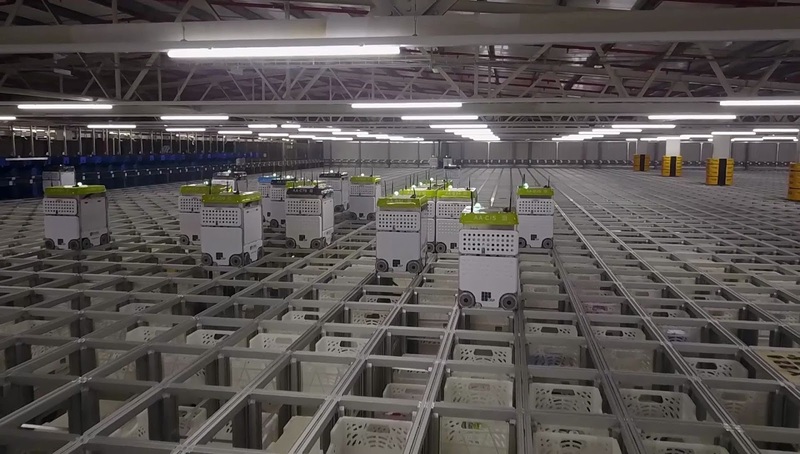 "Kubermesh is an elegant and cost-efficient solution to running our highly-automated Customer Fulfillment Centres based on a distributed network of computing nodes spread around the warehouse rather than high-performance servers concentrated in one large data centre," said Chris Dabrowski, general manager of infrastructure, operations and site reliability engineering at Ocado Technology. 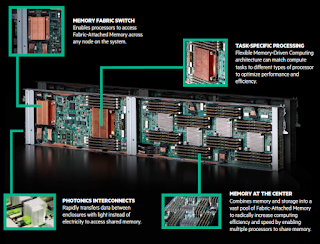 This has the potential to revolutionise the way companies approach on-site data centre architectures. Using open source software such as Kubernetes allows the automation team to quickly design a working prototype and develop it further based on advanced simulations of the future warehouse automation requirements. Kubermesh-based nodes are fault-tolerant, secure, flexible, and are designed to process the vast amounts of real-time data generated in smart factories such as automated warehouses. By distributing data center functionality in a mesh network of nodes, Kubermesh removes the need for a dedicated data centre and complex networking infrastructure, thus achieving significant energy savings and reducing the capital and operational expenditures associated with maintaining on-premise high-performance servers. 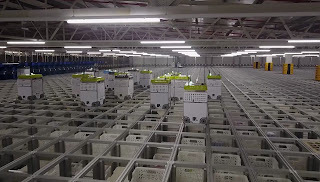 Ocado Technology is planning to use the same container technology and Kubernetes system to build an upcoming massive multiplayer online game (MMO) that teaches secondary school students the principles of artificial intelligence (AI). The open source game will be developed and promoted as part of the Code for Life initiative started by Ocado Technology volunteers to inspire the next generation of computer scientists. There is more information about the Kubermesh project at the Ocado Technology blog and the project’s GitHub page. Cambridge startup Ultrasoc has raised £5m from new and existing investors to further develop its embedded IP that helps system-on-chip designers analyse what is happening in complex chips with billions of transistors. The money will be used for R&D and to boost the commercial team, increasing the staff from 20 to perhaps 30 says Rupert Baines, UltraSoC CEO. The need for safety, security and performance-tuning is increasingly important and the embedded analytics allows the chip to monitor and optimise its own behaviour at a hardware level, as well as provide insights that enable engineers to make improvements and fix problems. The same technology can detect evolving real-world threats and problems – for instance those caused by malicious attacks. 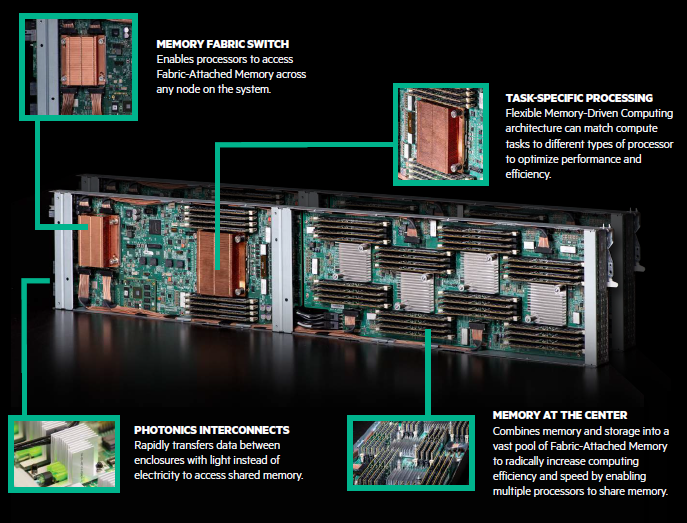 These features benefit any electronic system, but are particularly attractive in the automotive and high-performance computing (HPC) sectors. UltraSoC’s semiconductor intellectual property (SIP) enables designers to easily and cost-effectively create complex SoCs (systems on chip) with built-in intelligence that continuously monitors and responds to real-world behaviour. This allows SoCs to optimise power consumption and performance and deal with security threats or safety breaches. See the EEnews Power story for more on this. Atlante Tech leads a strong line up of new investors including Enso Ventures, Oxford Capital, and successful CEO and serial entrepreneur Guillaume d'Eyssautier (former CEO of picoCHip and ganeral manager of Cadence Design Systems), who join existing investors Octopus Ventures and South East Seed Fund (FSE Group). UltraSoC’s flagship product line is a suite of semiconductor IP that allows chip designers to integrate an intelligent analytics infrastructure into the core hardware of their devices. By monitoring and analysing the real-world behaviour of entire systems via UltraSoC’s intelligent analytics embedded in the silicon, engineers can take action to reduce system power consumption, increase performance, protect against malicious intrusions, and ensure product safety. These capabilities address applications in a broad range of market sectors, from automotive and IoT products, to at-scale computing and communications infrastructure. The new Open Virtual Platforms (OVP) models for ARM (ARMv8.1), Imagination Technologies (MIPS I6400), RISC-V (32 bit and 64 bit) and Renesas (RH850) processors provide hardware simulation that is twice as fast as previously. This allows embedded software developers run more tests in less time on the virtual models. "The Imperas virtual platform environment is amazingly easy to use," said Masaki Gondo, CTO of eSOL. "Starting with the RH850F1H EPK, we were able to get eMCOS running in our custom RH850 virtual platform in only two weeks. Also, the simulation performance is even faster than real time". "Virtual platforms are moving into the mainstream of embedded software flows. Imperas tools and models lead the market (with) complete and comprehensive solutions," said Shuzo Tanaka, Vice President of eSOL TRINITY. Imperas virtual prototyping solutions support over 170 processor models, including ARM, Altera, Synopsys (ARC), Imagination Technologies (MIPS), Renesas, RISC-V and Xilinx cores. 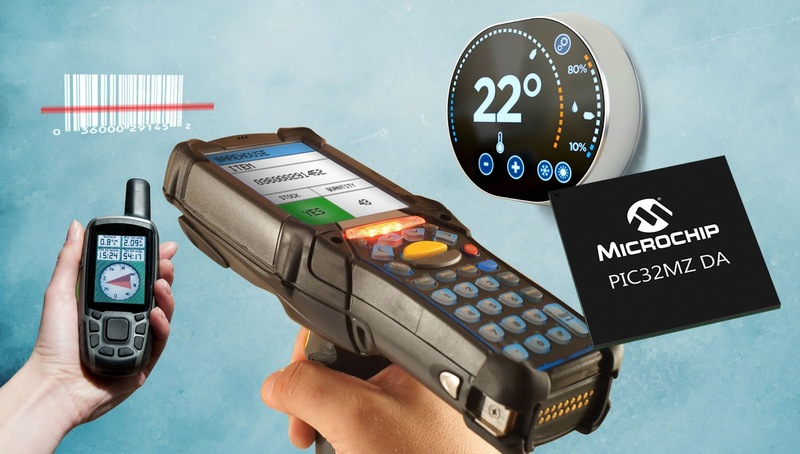 The linking of embedded systems directly to cloud services is continuing as Comtrol launches a cloud software development kit (SDK) for its IO-Link master family of industrial programmable logic controllers (PLCs). Comtrol’s MultiLink technology allows IO-Link sensor data (status, events, and process data) to integrate directly with Microsoft's Azure IoT Hub while simultaneously communicating with the sensor data to the PLC controller. Thi sis a key integration to provide a way forward for traditional industrial automation systems. The IO-Link Masters - with IoT Gateway functionality - communicate with sensors and send information to the Azure IoT Hub, which in turn can make it available to Azure Stream Analytics and other cloud-based applications. “We are excited to support customers’ need to share IO-Link sensor information with enterprise cloud systems. Comtrol created a direct link between Comtrol’s IO-Link Master and Microsoft Azure. This will support popular SCADA systems, such as Wonderware, G.E. Predix and others running on the Azure cloud platform. IO-Link and Azure complete the goals of Industry 4.0 and IIoT.” Bradford Beale, President of US-based Comtrol. Comtrol has been making networking and industrial data communication systems for the last 35 years, specialising in industrial Ethernet and device connectivity. It sells RocketLinx industrial grade Ethernet and Power over Ethernet switches, IO-Link Master industrial gateways, DeviceMaster Ethernet device servers and gateways and RocketPort multiport serial cards.